Betsy, this is wonderful! The Dragonaire pattern seems to take your imagination to all kinds of strange and unusual places! I love the quote on this, and I love that you did basically a monotangle with what usually is just seen as an embellishment! Thank you for participating! 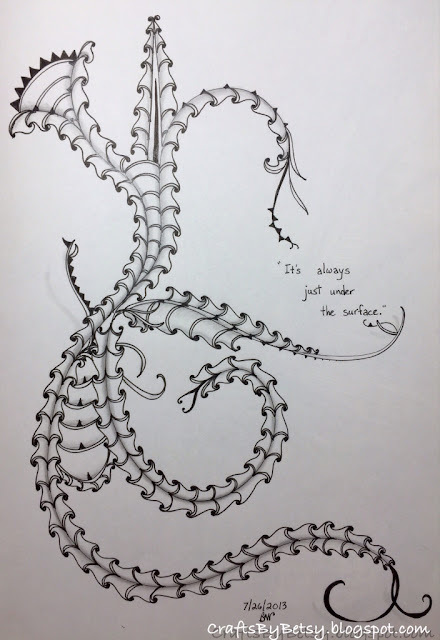 wow, the image and the words are SO creepy together..."Just under the surface...." makes me just FEEL the seaweed around my feet in the ocean. *shiver* good work!